Paperback, 6.75 x 9.5 in. / 264 pgs / 100 color / 48 bw. James Lee Byars--who was born in Detroit in 1932 and died in Cairo in 1997--was one of the twentieth-century art world's most unusual and elusive figures. 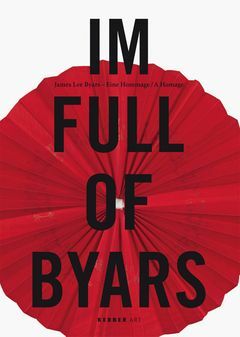 Enamored with the imaginary and fleeting, pitting the immaterial against the material, Byars was not just an artist, he was a visionary and a dandy, who, always seeking perfection, knew how to cast a spell over his audience through his enigmatic performances, installations and sculptures. Using sandstone, marble, glass and gold, Byars created classical sculptural forms like spheres, circles, gates and columns. Im Full of Byars reveals his work to be a symbiosis of Fluxus, Minimalism and Conceptualism, that has lost none of its mystery or poetry with time. The volume includes a selection of sculptures, installations and never-before-seen documentation of his performances. Artwork by Joseph Beuys, James Lee Byars. Edited by Klaus Ottman. 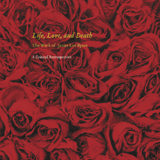 Essays by Viola Michely and Martina Weinhart. Text by Peter Eleey, Magalí Arriola, Ana Janevski, Pan Wendt, Shinobu Sakagami. Edited by Heinrich Heil. Text by Heinrich Heil, Gabriele Uerscheln. Photographs by Claudio Abate. FORMAT: Pbk, 6.75 x 9.5 in. / 264 pgs / 100 color / 48 b&w.